One of the things we’ve been saying to Chloe* about our trip is how cool it is to be integrated into the homes of French families. It’s not a vacation in which you are staying in a hotel, going out to touristy places during the day, and then eating in restaurants. Case in point, today. Ella and Chloe* got up and had breakfast at the Bertails, then went into town by tram (Line 2, of course) to go shopping with Celeste and Claire. The four girls stopped for lunch and visited the Nid (the Nest), before returning home to the Bertails for dinner. 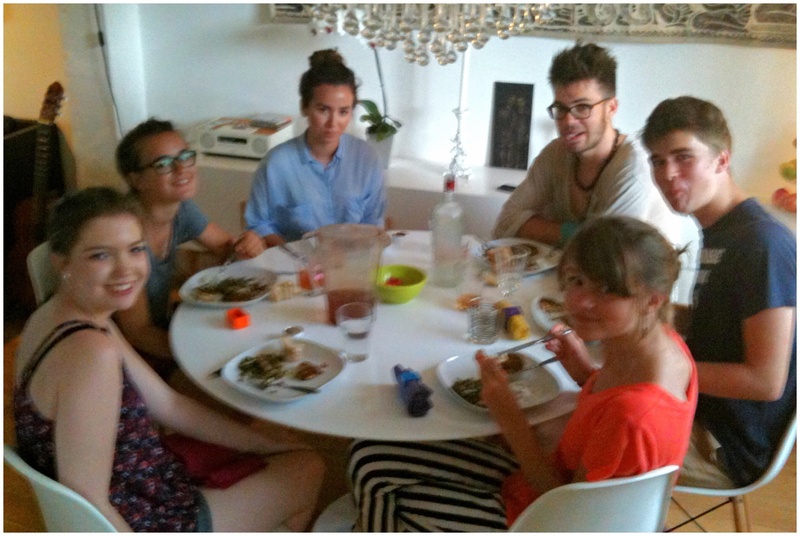 I arrived from my excursion to buy running clothes at Decathlon to see Maxime, the oldest of the Bertail children, and snap this shot of the dinner table. This isn’t “visiting” France. This is “living” in France.